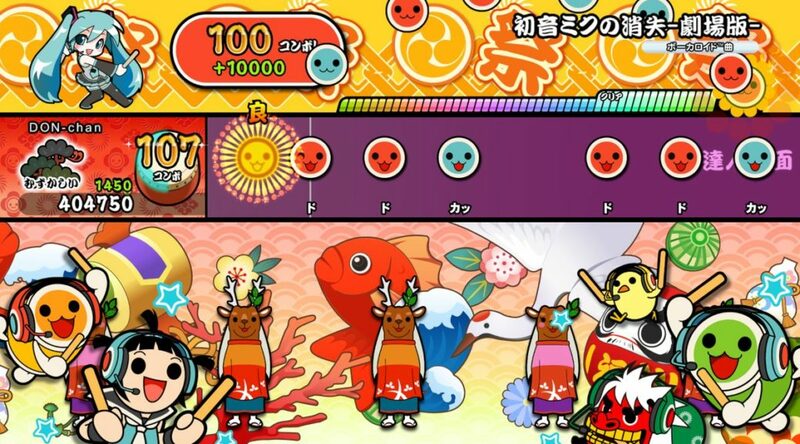 Bandai Namco Entertainment has announced a new Vocaloid DLC pack for Taiko no Tatsujin: Nintendo Switch Version in Japan, which costs 500 yen and will release on September 13, 2018. The Vocaloid DLC pack features 5 songs sung by vocaloid Hatsune Miku. The 5 songs are Senbonzakura, Sharuru, Tomorrow’s Evening Sky – Shoukaihan, Hatsune Miku’s Disappearance – Movie Version, and Touriyo. Players will also unlock Hatsune Miku as a Performance Character, who comes with the skill Spirit Gauge Multiplier Level 2.